Blueberries Blueberries are a fruit native to North America. Blueberries grow on a shrub belonging to the heath family; cranberries, azaleas and bilberries are also apart of this family. 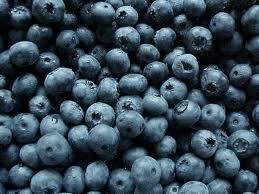 There are about 30 species of blueberries, and each of the species grows in a specific region. The evergreen species, for instance, can be found in the Pacific Northwest, and the highbrush variety grows throughout the Eastern seaboard. Featuring a tart taste, blueberries are packed with nutritional benefits. They boast antioxidants that help neutralize the free radicals that could lead to heart disease and cancer. Blueberries have also been found to boost brain and gastrointestinal health and may help to prevent colon and ovarian cancer. Bilberries A cousin of the blueberry, the bilberry primarily grows in Northern Europe. 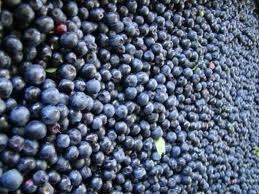 With a taste similar to the blueberry, the bilberry grows on a perennial shrub and becomes ripe in late summer. While bilberries are commonly used in pies and jams, they have also been apart of European medicine for almost 1,000 years. The fruit was commonly used to treat ailments such as diarrhea, scurvy and vision problems. Today, bilberries are used to reduce the risk of blood clots and for their antioxidant properties. The fruit is available in both fresh and dried forms.